If I have learnt anything in my few short years in local government, it is: You’ll never please everyone. 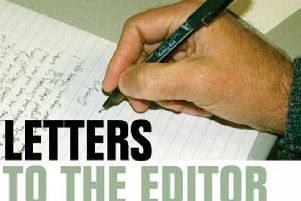 Two letters in last week’s Gazette, addressed two different topics concerning Rothbury but both touched, with very differing views, on the issue of parking. Both letters illustrate perfectly what I love about the area I represent; people are as passionate about it as I am and are willing to stand up for what they think is right. Part of my job, though, is to try to find the balance between opposing views and establish a middle ground from which to move forward and solve the practical problems faced. One letter discussed the new bus shelter (outside The Queen’s Head Hotel) and argued it would have been better sited outside Greenwell Bakery, raising the point that no consideration was being given to pensioners for fear of losing ‘a few parking spaces’. The second raised issue with the county council’s proposals to install a new crossing point and create easier pedestrian access in and around the war memorial and High Street and criticised the plans, saying ‘The county council’s contradictory ‘solution’ is to reduce the number of (parking) spaces’. The bus shelter/bus stops current location is a medium term solution and the county council is actively looking at different options for resiting it to make it easier for both passengers and the bus operators (who are often unable to pull into the stop due to parked cars) to access. Whatever solution emerges, if it involves the removal of car parking spaces then my position is absolutely clear; an equal or greater number of spaces will have to be created elsewhere in the centre of Rothbury for any scheme to go ahead. A challenge given the limited space available. With regard to the war memorial/High Street proposals, I am regularly contacted by residents (often elderly but increasingly others who are less mobile and parents with young children), who find it difficult to navigate around this area. Traffic too seems to find the area difficult to move around; the memorial’s railings have been damaged by vehicles on several occasions and the memorial itself has also been hit. The county council’s proposals would ensure a safe crossing and pedestrian-accessible area, with lowered kerbs for pushchairs and wheelchairs, whilst protecting the war memorial and surrounding area from future vehicular damage. Yes, it would involve a small reduction in the number of parking spaces in the immediate vicinity which is why the scheme proposes removing a small section of village green near the veterinary surgery to create an equal or greater number of parking spaces in this area. Alternative land outside the parish hall and Coquetdale Centre would be registered as village green, with the protection that affords, in its place. I thank both residents for their comments and look forward to hearing everyone’s views during the forthcoming consultation as we work to improve the current situation in Rothbury.